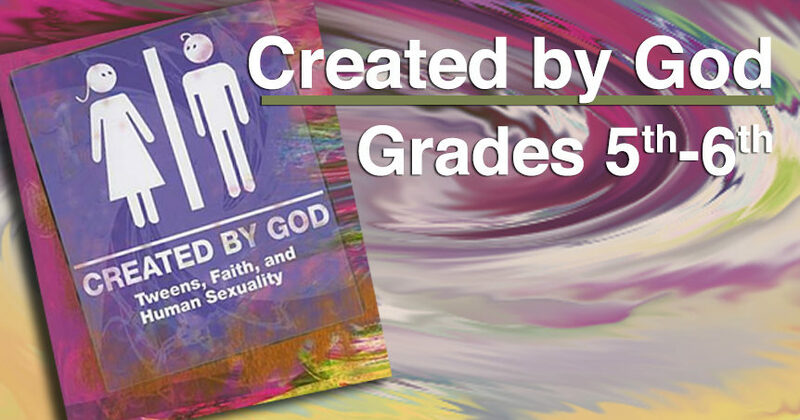 Created by God is a biblically based human sexuality program designed for 5th & 6th grade students. Participation is open to boys and girls who are church members or are in the community. This two day class will assist students in learning about and embracing the fullness of the life that God intends through the gift of human sexuality. This program operates out of an understanding that sexuality is a gift from God and that God desires us to embrace this gift in a respectable manner. Content includes communication skills, self-esteem exercises, basic human growth, sexual development and reproduction in a framework of positive relationships. Created by God is an approved United Methodist curriculum. Parents will meet Thursday, January 10th at 6:30pm. Saturday, January 12th 9:00am- 2:00pm. It is important that students are present the entire time. The cost is $50 which covers the cost of class materials, lunch on Saturday, and snacks both days. For more information, please contact Kristen Lane at [email protected].